The proper definition of an oasis, is “A fertile spot in a desert where water is found”. 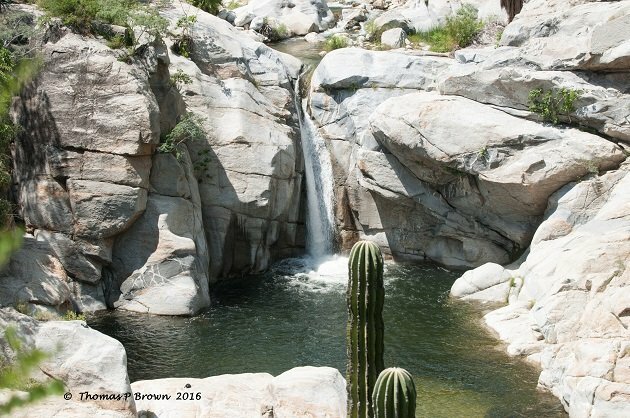 Living here in the desert we don’t take for granted that “Water is life”, so where you find a consistent source, you will find all kinds of fun things to enjoy. 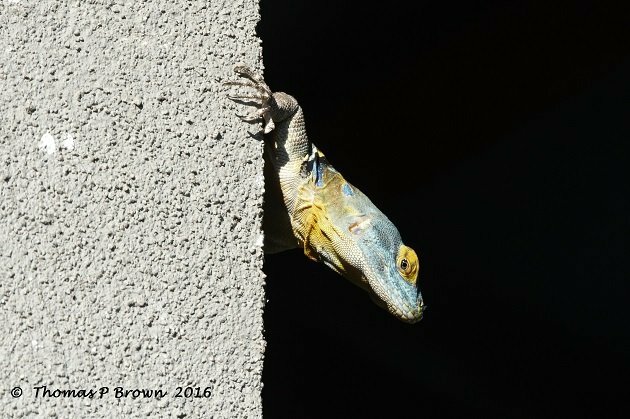 Plants, animals, as well as birds. I am reasonably certain that the average person, sees an oasis as that beautiful body of water, surrounded by palm trees, in the middle of miles and miles of barren desert sand. That really is, for the most part a correct observation, but not always. One example that is somewhat different, would be Rancho Ecologico Sol De Mayo. This is a privately held piece of property, found on the east side of the Cape Region, of the Baja, and is actually formed by the erosion of the Sierra de La Lagoon mountains. They hold it open to the public, for a very small fee, which allows you access to the property’s many trails, as well as the swimming hole, that is formed by the year round waterfall. 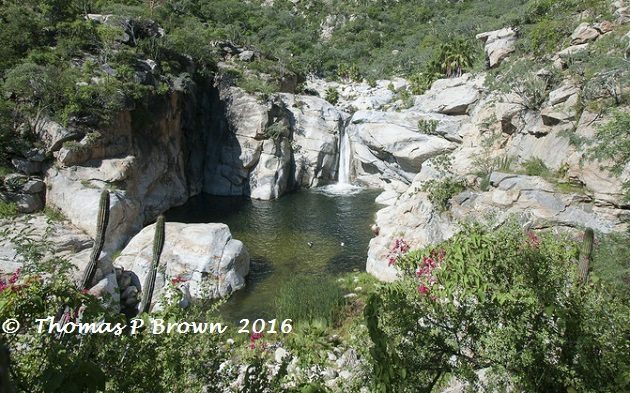 The property is located near Santiago, an small Mexican village that, with the agriculture that it scratches out, pretty much takes every drop of water the stream can provide. 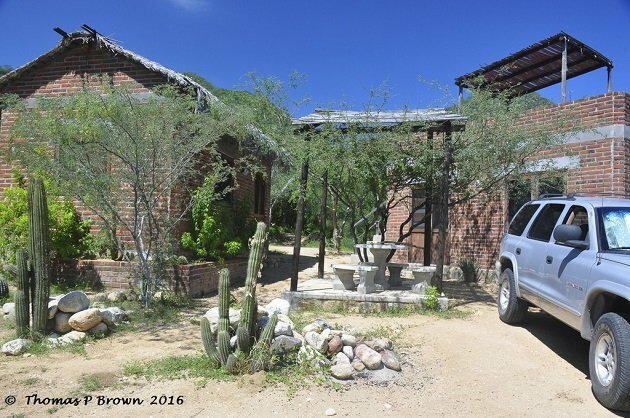 There are several small casitas for rent, at a very reasonable rate. Each one includes a bedroom, with full bathroom and shower. There is also a kitchen dining room building across the courtyard. The is no refridgeration, so if you do visit, be sure too include a cooler with ice. 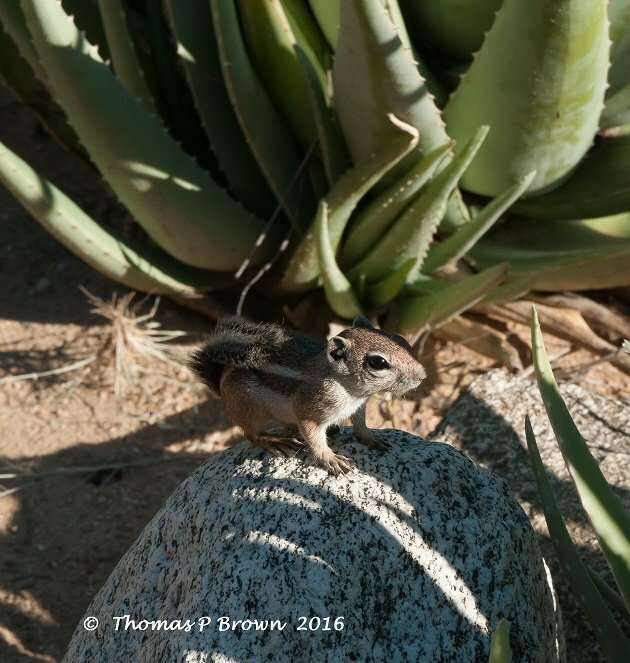 This area, with its year round water supply, supports a huge amount of life, with coyotes, fox, bobcat and many different rodents, like this Mexican Ground Squirrel. Jeanne and I spent three days, two nights there, just exploring the area, and enjoying a break from the heat of the summer. 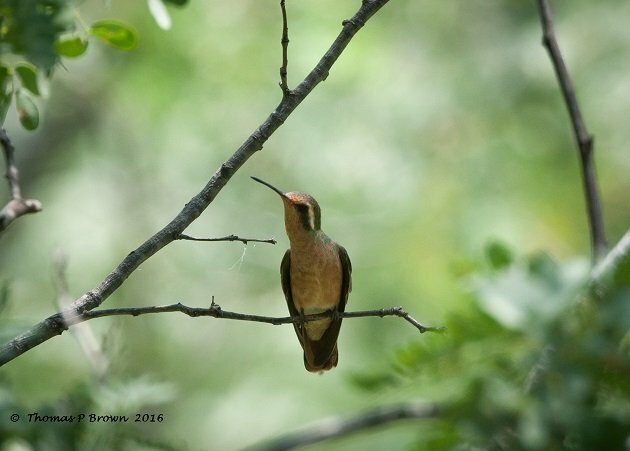 We found both Xanthus’s Hummingbirds, see below, as well as Costa’s Hummingbirds. 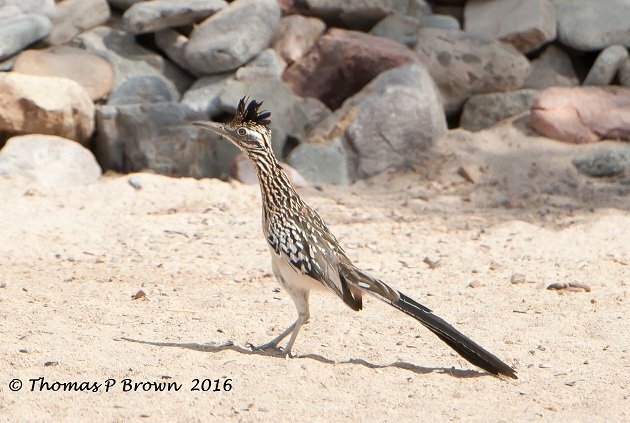 We were very surprised about the number of the Greater Roadrunners that we saw, not only on the property, but in the surrounding areas. There is an old dead tree top, right on the edge of the canyon, that looked like it would be a great spot for the passing birds to make a stop. It was a nice quiet morning, so I grabbed my camera, a cup of coffee, and set up nearby. 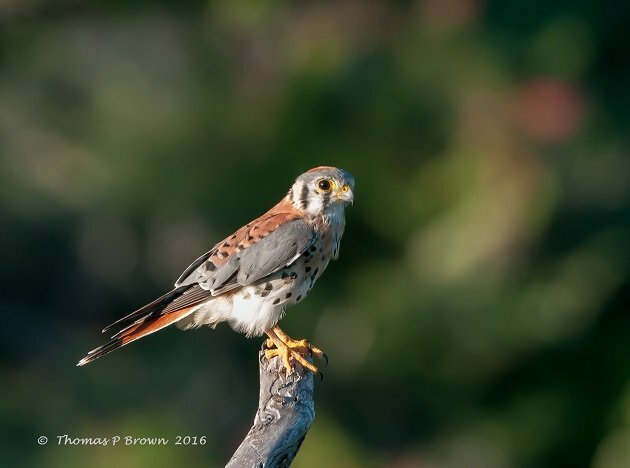 This American Kestrel was the first visitor of the morning. 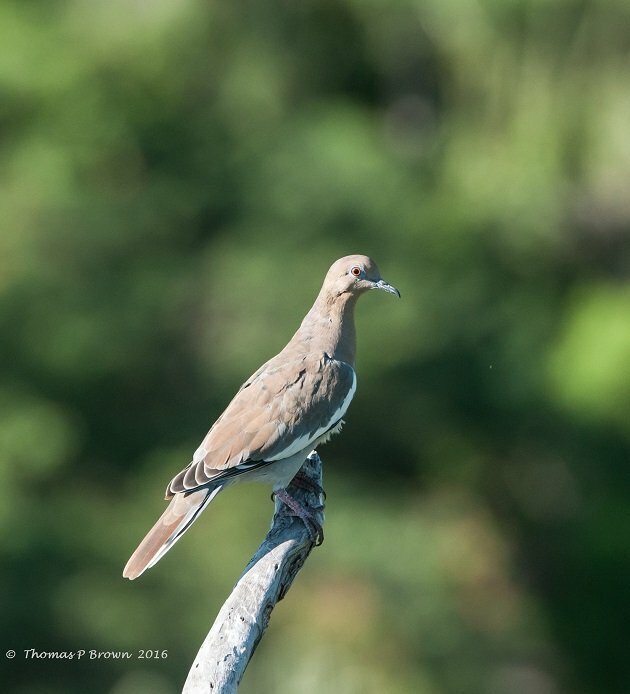 Then a White-winged Dove showed up. 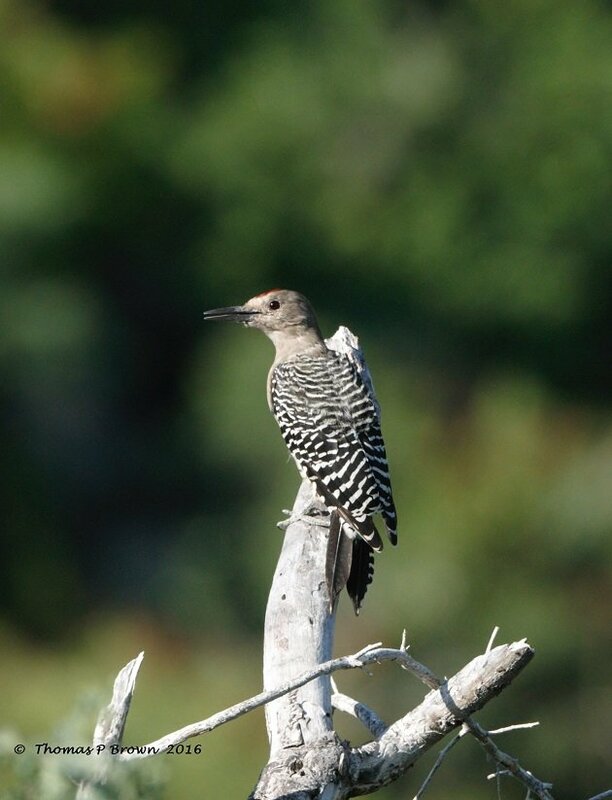 There were Ladder-backed Woodpeckers, as well as Gilded Flickers and Gila Woodpeckers like this one.